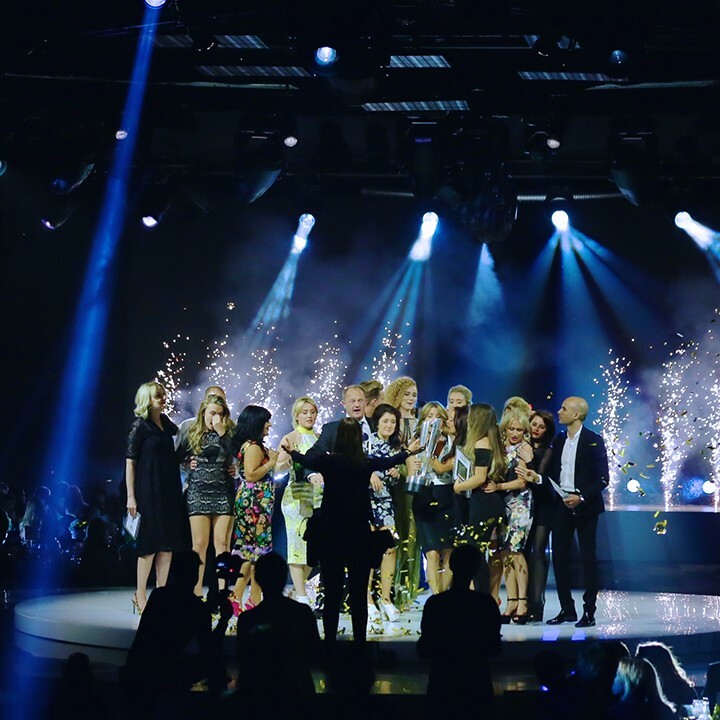 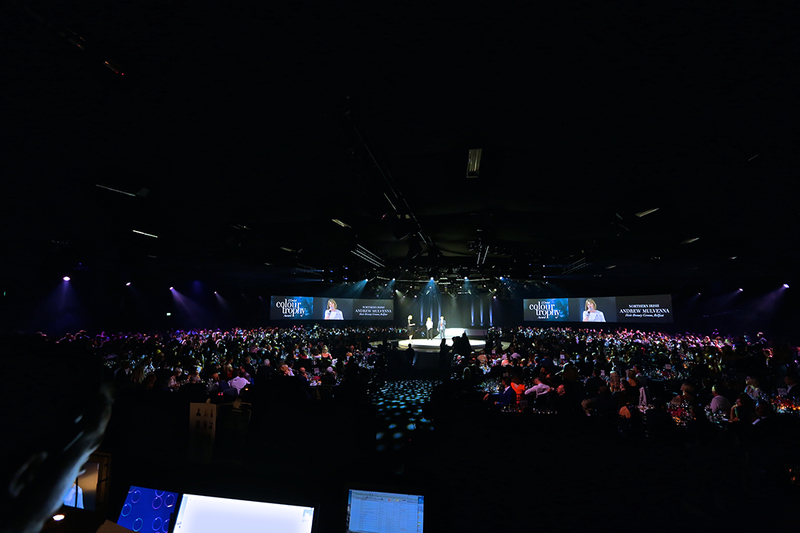 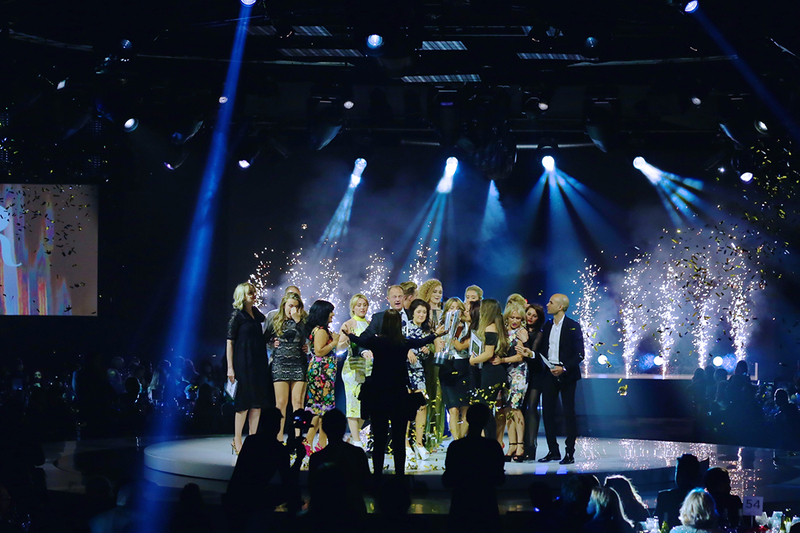 The 60th L’Oréal Colour Trophy Grand Final, the longest running live hair dressing competition in the world, was held in Battersea Evolution. 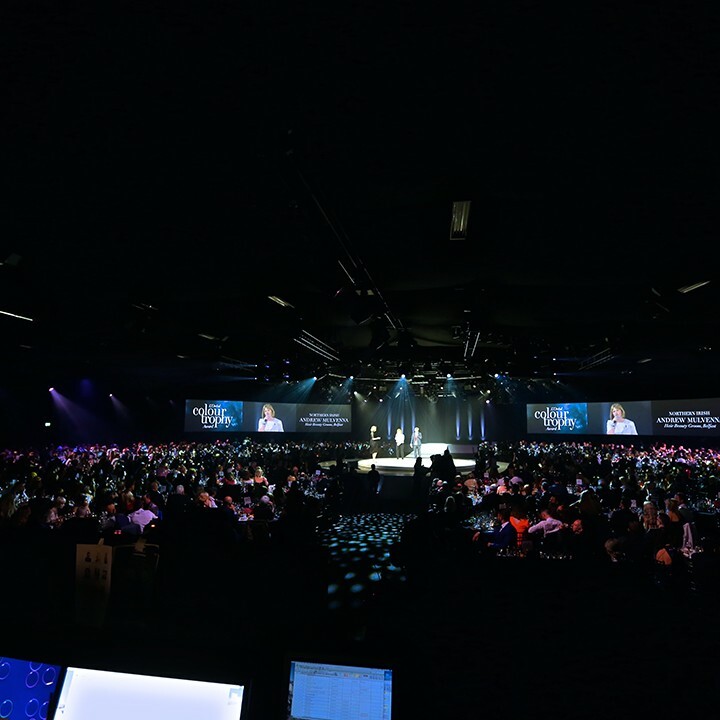 INCA transformed the space to include a bespoke string installation built from 10km of golden string which created dynamic angles that cleverly divided up the reception space. 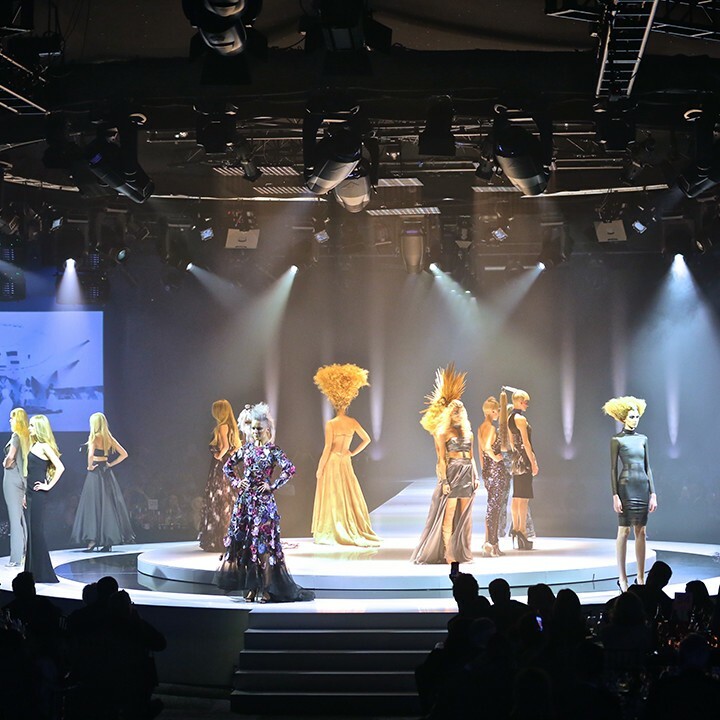 Following a red carpet arrival and drinks reception guests were treated to a 3 course dinner and the elaborate hair show. 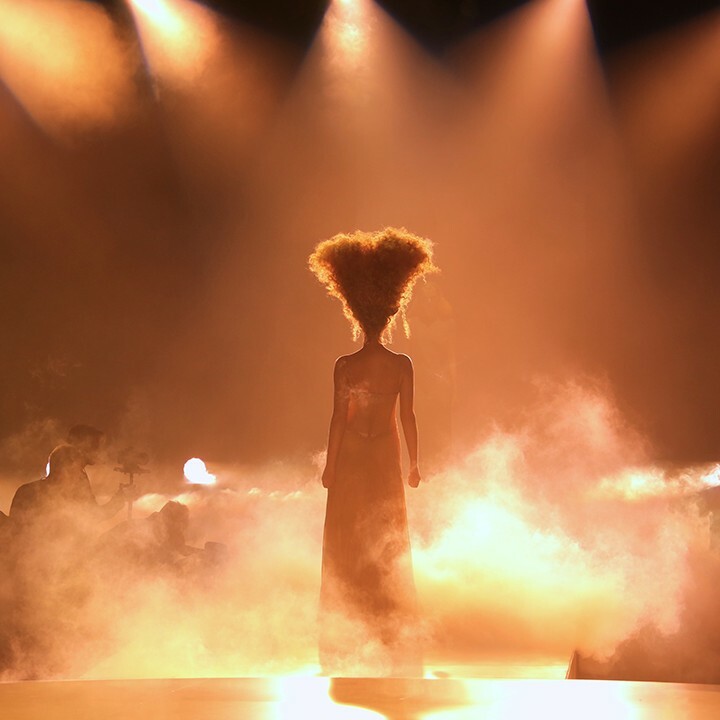 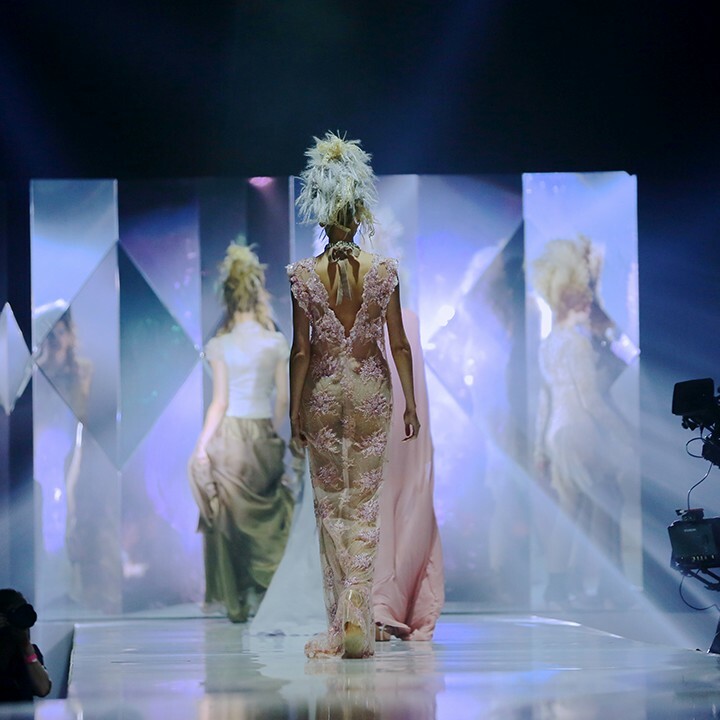 INCA collaborated with world-renowned choreographer Les Child to stage the catwalks for hair stylists Percy & Reed, Charlie Miller, Trevor Sorbie and 20/20 Colourists. 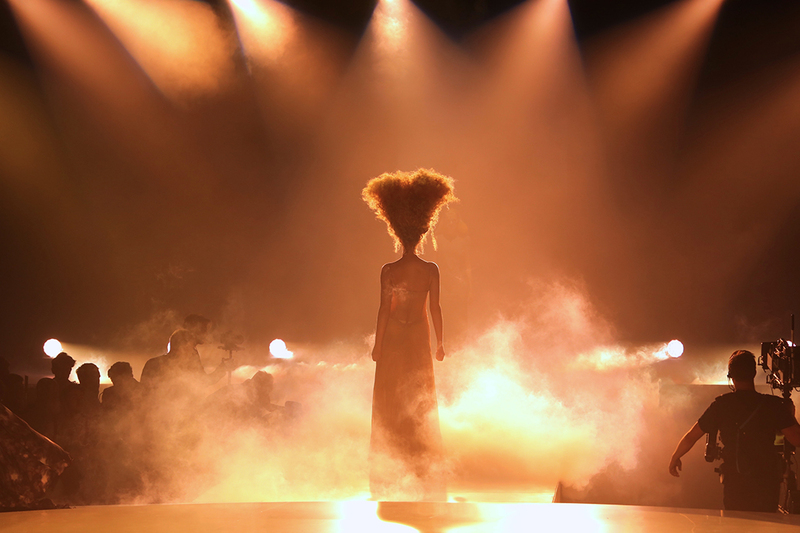 Les Child created intricate choreography inspired by the technical staging created. 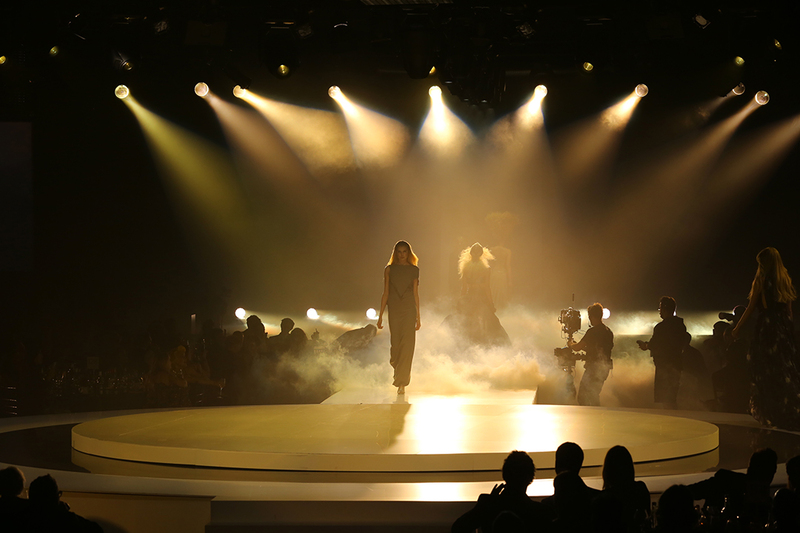 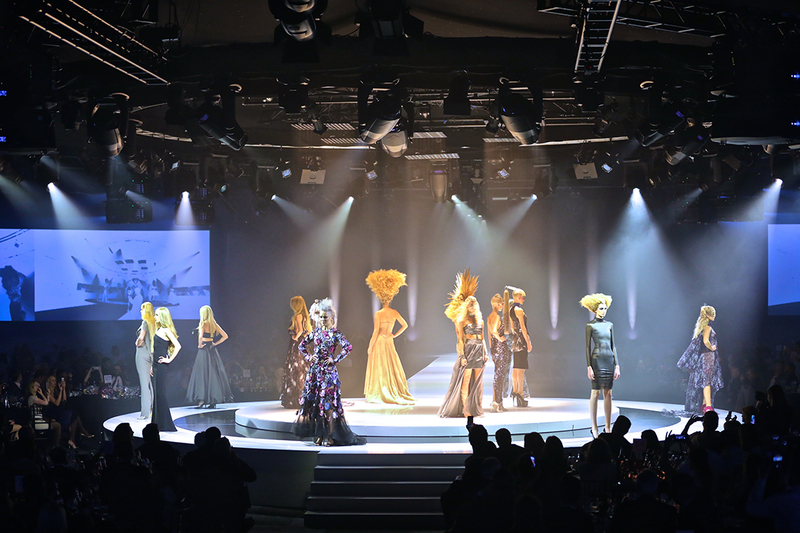 The catwalk featured two revolving stages, which created the perfect finale moment for each show.